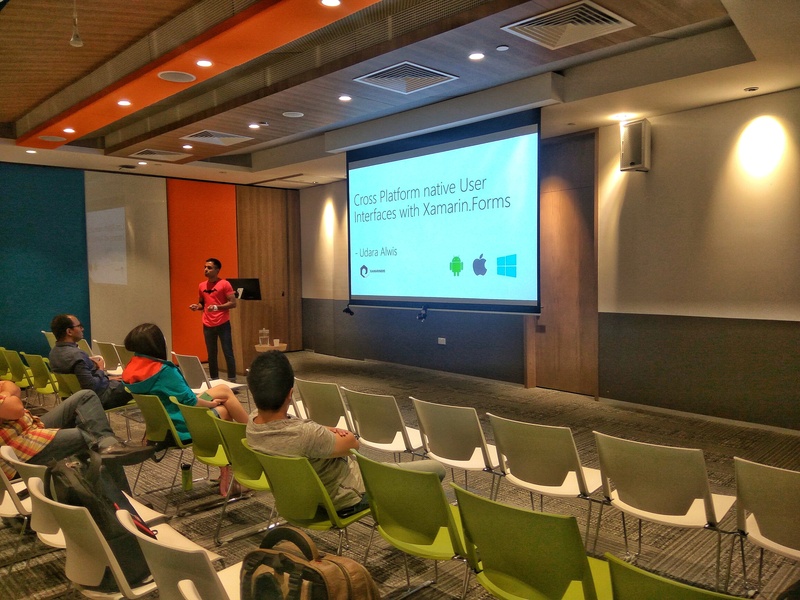 So on 4th of November Xamarin Dev Days Singapore 2017, concluded with a massive success, with a full house attendance, and as of me I happened be a presenter there. 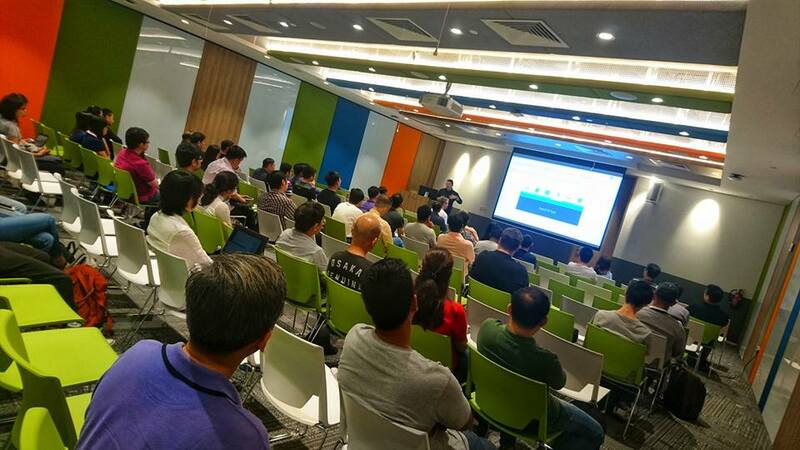 Hosted by Microsoft with the support of Xamariners and SyncFusion, it was a full day community event. As of myself, Udara Alwis, I was presenting my tech talk session on Cross Platform Native UI with Xamarin.Forms, where talked all about Xamarin.Forms and building cross platform apps with fully native look and feels, while being able to access platform specific features easily, and the latest updates and features of Xamarin.Forms. Along side with an in detailed Live Demo of how Xamarin.Forms runs natively on Android, iOS and Windows with all the native look and feels. So I’m about to share some of the stuff I presented at my talk there, although I will not be diving into every single detail I talked about there, only be focusing on the key points. So as we all aware, Xamarin.Forms is all about allowing developers to build native UIs for Android, iOS and Windows from single shared C# code base, while maintaining full native look and feels as well as native features. In the beginning we had native Xamarin, which is the C# and dot net wrapper around the native platforms, where you had to manually develop the UI layer for each specific platform, but still allowing the shared business logic. Here I did something pretty special that is to compare the UI Controls in Windows Dev Environment, and Xamarin.Forms Dev Environment. This helped most of developers who comes from Windows Development background to easily familiarize themselves for Xamarin.Forms development. As of the MVVM Architect savvy fellas, do not worry Xamarin.Forms supports full binding out of the box, just like you had in Windows Development. In this section I dived into some of the latest updates of Xamarin.Forms. So whenever you create user interface in your mobile app, it forms some kind of a hierarchy of the Layouts and Control Elements. And you know for a fact the more higher the hierarchy the more performance is consumed by the Layout Renderer. So its the same case here in Xamarin Forms, specially here it adds some extra layers in between the UI elements to do its Native Magic. As you can see above the Xamarin.Forms Layout has 12 Elements in the UI, but in reality at run time it increases up to 19 Elements in the UI. That’s why they’re introducing this new performance enhancement feature called Layout Compression. So what this new feature does it is remove the unnecessary nesting of the hierarchy and compress it as much as possible. There you can see above as a result of the new feature how the Layout Hierarchy is flatted and compressed down to 16 Elements. Yes that literally means speeding up the Rendering process of a given Element at runtime. As we know in Xamarin.Forms, each UI Element has a Renderer attached to it, that handles all the native mapping with Xamarin.Forms layer. 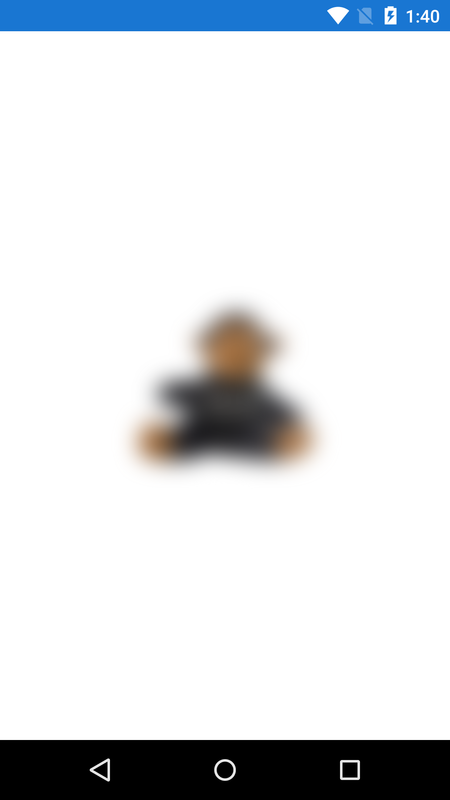 This Renderer layer also contributes to the unnecessary UI hierarchy for the Layout Renderer. That is why with this new Fast Renderers feature they’re merging the Element and its Native Renderer into one single Element, causing the whole UI Layout Hierarchy to compress down itself even further. As a result you can see above example, the 12 Elements hierarchy we had in Xamarin.Forms has compressed down to 10 Elements at run time, resulting in massive performance improvement. Few months back our company was asked to do a graphics application, so we decided to take a look into graphics rendering libraries available for Xamarin.Forms, given the limited time, we thought of going for SkiaSharp over other alternatives, which we had very little knowledge of how to work with. So few weeks back (18th June, 2017), I had the opportunity to give a tech talk-hands on demos, at Singapore Mobile .Net Developers meetup, under the topic “2D Graphics Rendering in Xamarin.Forms with SkiaSharp”! 2D Graphics Rendering in Xamarin.Forms with SkiaSharp! Behold the incredible 2D Rendering Engine for Xamarin and Xamarin.Forms, SkiaSharp! So SkiaSharp is the C# and DotNet wrapper of Skia framework allowing us to use it right on top of Xamarin, a mono based open source project, where you could add your own contribution to it via: github.com/mono/SkiaSharp! For setting up SkiaSharp, open your nuget manager and install “SkiaSharp.Views.Forms” across your Xamarin.Forms solution, including PCL and platform specific projects. Add the SKCanvasView to your page as you wish. Notice the PaintSurface event, the most important execution point you need to handle in order to render your graphics on the SKCanvas. Every time you need to do any kind of a drawing or rendering of 2D graphics on your Canvas, you need to do it in this event, this method is first invoked when the Page appears on the screen, and then if the orientation changes or you could even manually invoke it by calling InvalidateSurface() of your SkCanvasView. This event provides you with all the required properties and values to execute your 2D rendering, such as the SKCanvas instance, which is the actual canvas you’re going to do the 2D drawing on, SKImageInfo instance which provides you with details such as actual Width and Height by pixels and so on. The Clear() method call, clears up the canvas surface and prepare it for rendering new content, by passing it a SKColor object, you can paint it with that color. The SKCanvasView is actually a placeholder for the SKCanvas which you can access in the PainSurface() event. There’s many ways to draw or render stuff on our Canvas, but SkiaSharp also provides us predefined methods that allows us to draw simple types of shapes such as Circles, Lines and Texts, etc. So usually when you are to do some complex drawings you would be using a combination of all those drawing methods at a given rendering cycle. SkiaSharp allows you to do all kinds of Translations, Scaling, Rotating and even Skewing on the Canvas. Usually on the Canvas, the X,Y coordinate system starts from the top left most corner and Y axis increments vertically and X axis increments horizontally. So lets see how we could manipulate this in our favor and do some basic Translation and Scaling on the Canvas. There we are Translating the Canvas’s X,Y coordinate system to be started off of the center of the screen, and then Scaling the Canvas to the ratio of 200 pixels according to the actual canvas Width. SKPaint object is one of the most important element in SkiaSharp, it holds the configuration for any given type of 2D rendering, so you’ll be storing your drawing configuration in that object, such as Color, Style, Stroke Width/Height, Anti Alias and so on. We shall be using the DrawCircle() whilst passing in the Circle’s center XY position and desired radius for it. 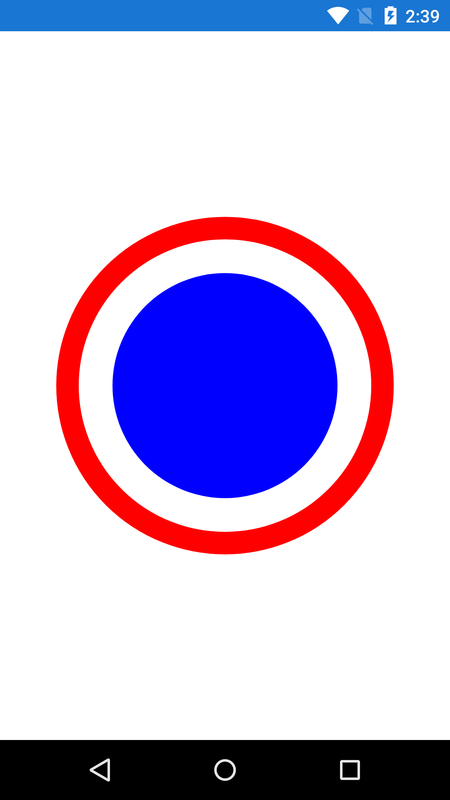 To define whether its a Filled or Non-Filled circle we’ll be using Style property in our SKPaint configuration. Since SkiaSharp support pure Xamarin.Forms you can straight away run all your native projects without any hassle of handling native code. When it comes to most Xamarin.Forms components, they do not have touch handlers, however the SKCanvasView comes default with a Touch event handler, Touch and a boolean property to enable or disable Touch Events, EnableTouchEvents. You can straightaway use that even and property to handle touch events on the SKCanvas. You can subscribe to it and look for the type of touch event and handle it. As you can see it gives you the Touch point location. You can get a hold of the event and the touch point and you want to do some drawing on the SKCanvasView, then you could call the InvalidateSurface(). That way you could simply attach the above TouchEffect just as a normal effect and see the complex touch events in action. Images are pretty crucial when it comes to 2D Graphics, it gives more of added advantage over your design idea. As of Xamarin.Forms, the conventional the conventional way of loading an image is, either as an Embedded Resource or Platform Specific Resource. So in SkiaSharp for Xamarin.Forms, provides you SKBitmap or SKImage for handling your image resources. You have few options to load an image, from a data stream, file path and so on. The most common way in the sense of Xamarin.Forms architecture, you have the option of loading your Images directly from PCL as Embedded Resources, and then convert it to a SKBitmap or SKImage. There you have it, we are using the DrawBitmap() method for drawing the image on canvas. SKImageFilters is the class that provides the built in filters. 🙂 You attach that object to a SKPaint configuration and draw the Bitmap with it! Although Xamarin.Forms packs some pretty decent set of Animations out of the box, we don’t much control over the animation for customization. But using something like a 2D Rendering Engine, we could create whatever the animation or customization as we wish. 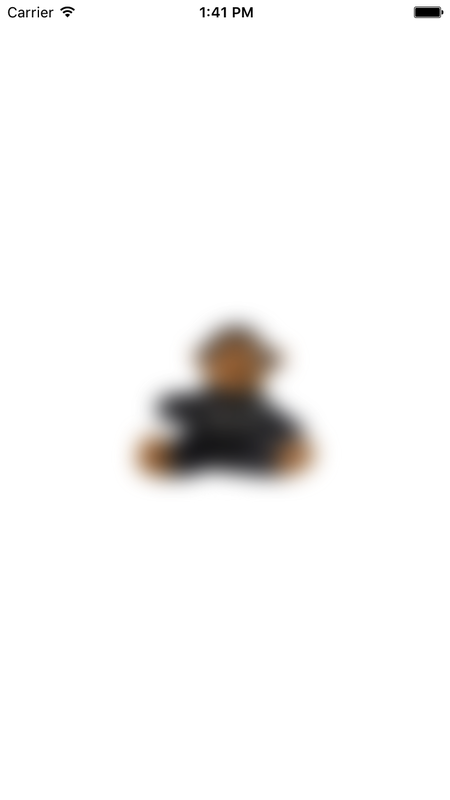 SkiaSharp of course is a great option, but that being said, there’s no direct Animation handling available. Because it’s simply a 2D vector rendering engine. So this means if you want to render some continuous animation with SkiaSharp, you need to handle every single frame of it manually from your code. So by actual implementation there’s few ways to do this, but the actual underlying idea is to repeatedly render a given set of values on the Canvas, preferably triggered by a continuous timer of sorts. The above shows you you could create a simple continuous pulse generator relative to milliseconds and execute a continuous animation. In simple terms the Timer is running each 33 milliseconds, calculates a value (t) based on the total elapsed milliseconds on the stopwatch, relative to the cycle time (controls the speed of animation) and repeats. Then calls the SKCanvas redraw. Make sure to call this method on PageAppearing() to start the timer and set the pageIsActive = false on PageDisappearing() to the timer stops. There as you can see we are drawing the Circle at the given rendering cycle with relative to the generate “t” value at the Timer. 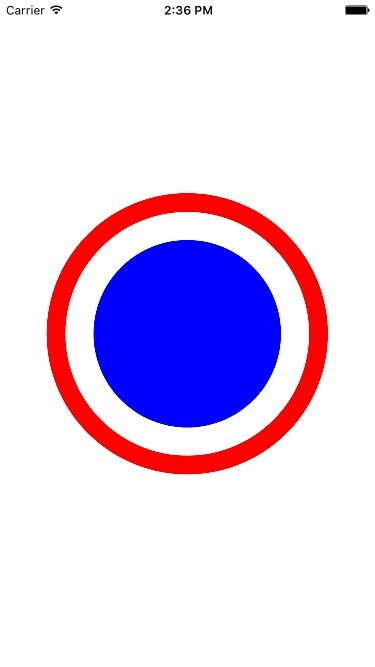 So the Circle’s radius will keep on varying from 0 – 70, thus creating the animation effect. Well I’ve been using Xamarin Platform for over 2 and half years now, but I never really thought of getting the official Xamarin Certification until recently my boss encouraged me to and financially supported it. So here’s a little sharing of memories down the memory lane and some tips for getting the Xamarin Certification. I first started off developing mobile apps on Android platform, given my love for Java programming back in the early days. So I self learned Android App Development back in the middle of 1st year of my college using online tutorials and documentation. Then at the end of 1st year, I was introduced to Windows Phone App development, which I got completely hooked on it, and then Windows Store App Development and so on, where I ended up publishing over 20+ apps to the Microsoft App Store during the next few years. Learning the whole Xamarin Platform by myself, I ended up completing a full fledged mobile app for that project in that company using Xamarin Forms. I was lucky enough my company sponsored me for Xamarin University Subscription. Otherwise its about 1000 USD for 1 year subscription or there a new monthly subscription plan with a very reasonable pricing. Once you have the subscription you get full access for all the incredible learning materials and live lecture sessions in Xamarin University. 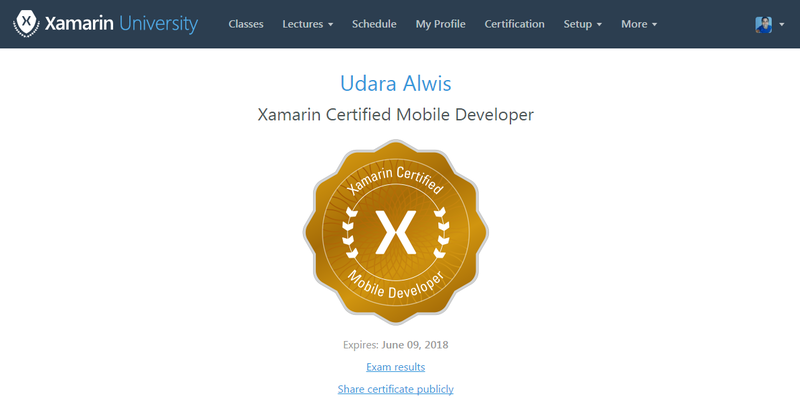 Now although at this point I already had like 2 years of Xamarin Mobile developement experience, I must admit that I learned way more and strengthened my knowledge on Xamarin top to bottom thanks to Xamarin University. So if you ask me if it’s worth it? at least for the Knowledge? DEFINITELY YES! Do not MEMORIZE! just UNDERSTAND the content! 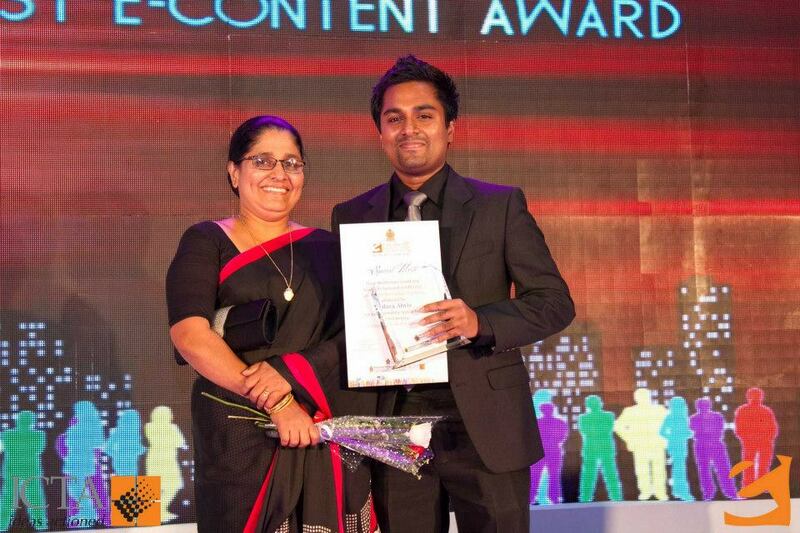 The sessions are structured in a way that it helps you to actually understand the content with step by step exercises. I’ve never taken a single note on any of the sessions, nor tried to memorize stuff(although I’m not very good at it either), just followed through sessions and focused well during them. That’s all it takes! Once you’ve completed the mandatory sessions, then you become eligible to sit for the certification exam! So the Certificate Exam is a 3 hours, MCQ exam (Multiple Choice Question) which has 150 questions, and you should score over 80% in order to pass the exam. The questions are going to be completely based on the mandatory sessions in Xamarin University. Heavily focused on the Xamarin.Forms cross platform related topics. Personally I did not get any questions that are out of the scope. Understand the content in the sessions, not memorize! Basically you won’t be able to make it through the exam if you’re just trying to ‘memorize’ everything in your head, you need to have a ‘good understanding’ of the session content, in order to answer the tricky 60% of the questions. 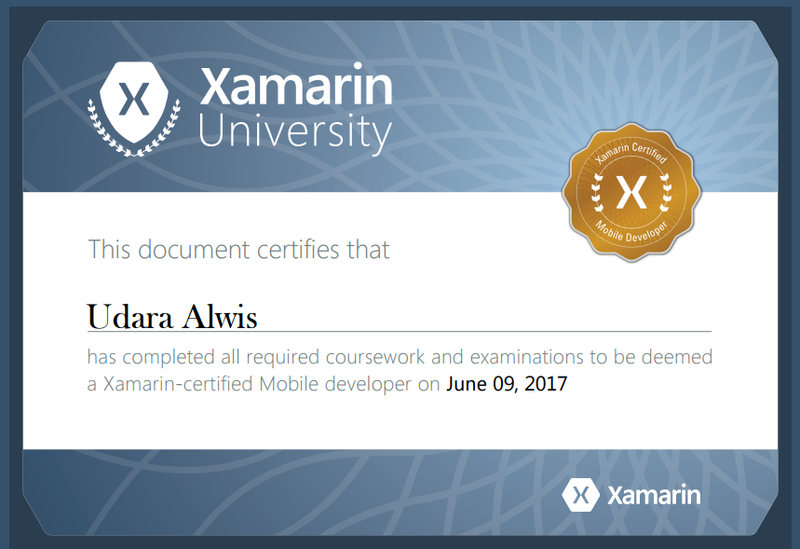 Xamarin University and Certification benefits! First of all the incredible amount of knowledge and experience you gain in the whole process of Xamairn University and the Certification is priceless. 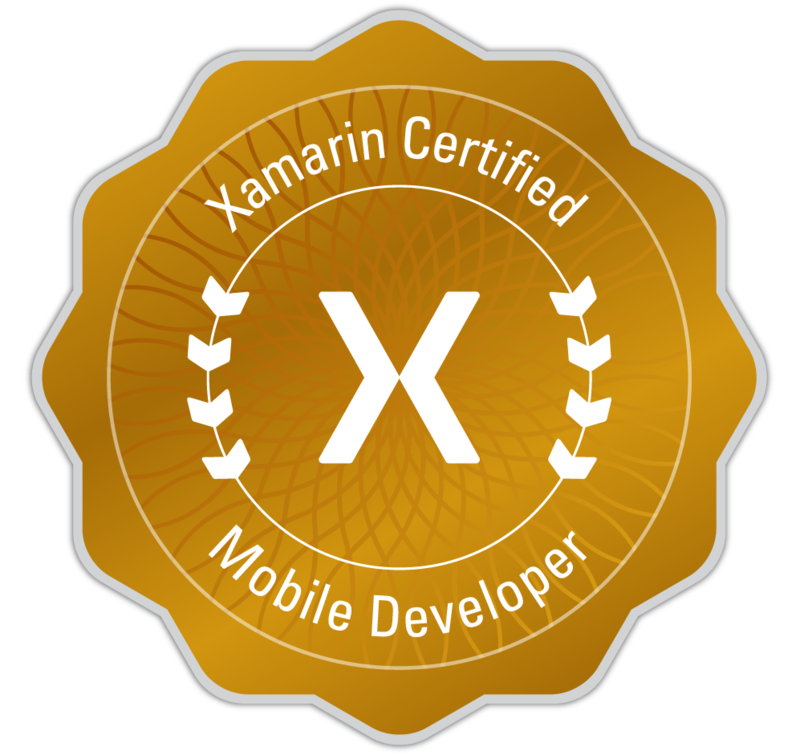 Not to mention the global recognition as Xamarin Certified Mobile Developer, having the official certificate directly validates you as someone who actually knows your way around Xamarin-stuff. 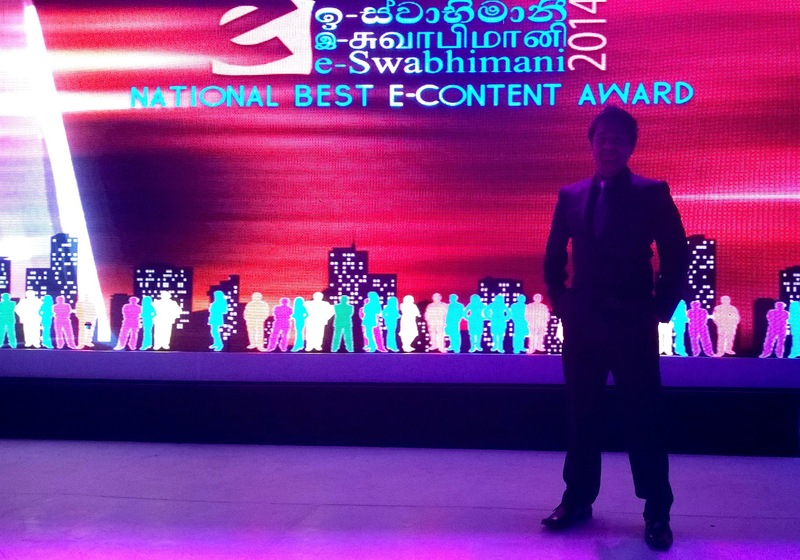 Although it does not prove you as an ‘expert’, which is totally dependent on your personal industry experience. Access to Xamarin DevConnect portal, to showcase your portfolio and connect with fellow developers. 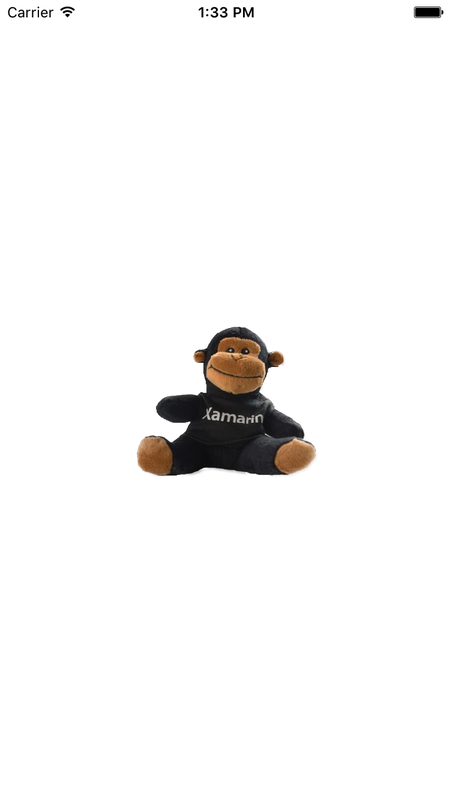 There are few other awesome benefits you get according to Xamarin official site as follows. 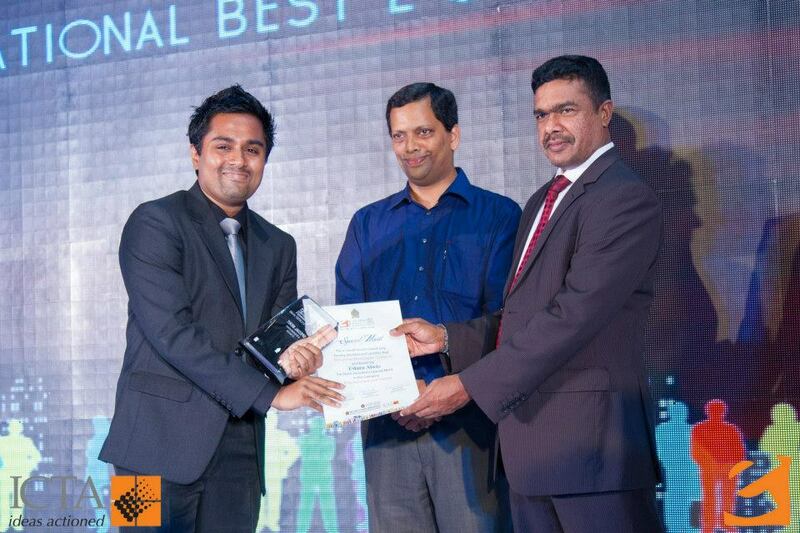 Certification is valid for 1 year from the date you have passed the exam. 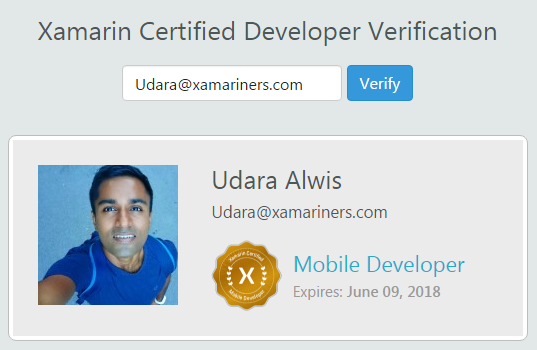 Certifications can be verified on our public Xamarin Certified Developers page. Receive a badge, fun Xamarin swag, and an invitation to join the official Xamarin Certified Developers community on LinkedIn. Cool, so what do I get to show off? Except for the massive amount of knowledge and experience I gained from the Xamarin University Sessions and Training, here are some other show-off stuff I got after being certified. You get a link that can be shared online for the verification of your Certification status. This is the source you could include in your LinkedIn or personal portfolio for the verification. Once you get the certification, your Xamarin University profile gets updated as such. You actually get a PDF version of your certification (here is a screenshot of it). You get access to Xamarin DevConnect, the official Xamarin Certified Developer portal from Xamarin, where you can publish your portfolio, connect with fellow certified developers from all over the world, and open up yourself for new opportunities. 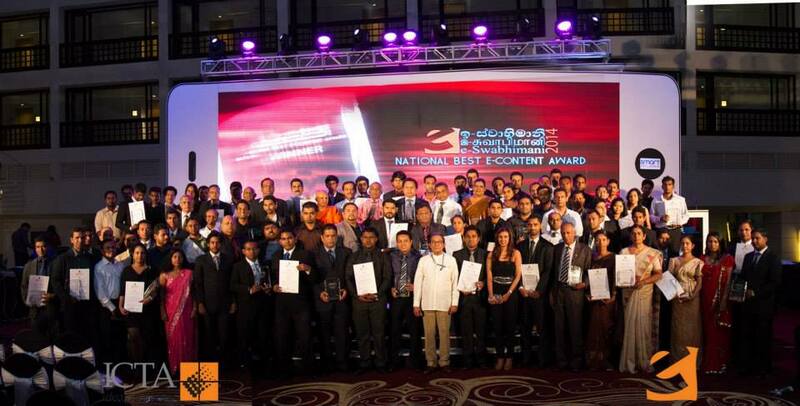 I finished my degree by the age of 21, and right after that I got job offers from three famous companies in Sri Lanka after successfully passing through all their interviews. So what did I do ? like every other excited-inexperienced-smart graduate, I chose the Job offer with the highest salary and accommodation without considering my passion for innovation, creativity and new technologies as a fresh college graduate. So for few months, I took a little break, did some freelancing, tried to start off something of my own. But mostly I guess, I just wanted to take a break and refocus on my passion. 🙂 So after two or three months, I got a new Job offer which seemed kind of interesting… 😉 So I thought of giving it a try. And Yes, I know this “satisfaction” may or may not last forever or for a long time, as nothing is permanent and everything is constantly changing in this universe by its nature, I’m really valuing and and enjoying it to the fullest while it lasts… After all, change is Inevitable ! 😉 That is Life ! So how does it really Feel ? Weekends ? You will be counting hours till Monday! This occurs especially during the first few months of your job once you get satisfied (but later you might find some alternatives to do like I did)… When you are in love with your job, you begin to dislike weekends, and you wish if you could work on Weekends, because simply you are bored of Weekends, having nothing to do, or even if you do have things to do, you would prefer your office work more than them.. 😉 And it gets worst, if you have nothing planned to do on your Weekends, you are going to be bored to death and you will be wishing to get back to work as soon as possible. You wake up with so much of Energy and Motivation! Every single morning you will be waking up with so much of Energy and Motivation to go to work, and not only related to work, but also other aspects of your life. You will be pumped up, ready to get back to work every morning when you wake up. You would be ready to go through any challenge at work, and in fact you’ll be on fire at the moment you start working in the morning. With that mentality you get an extra push to set your mind to overcome any challenge or difficulty of your life. You begin to feel fulfilled about your Life as well as Yourself as a whole, whereas in almost every aspect of your life you begin to feel complete and calm. 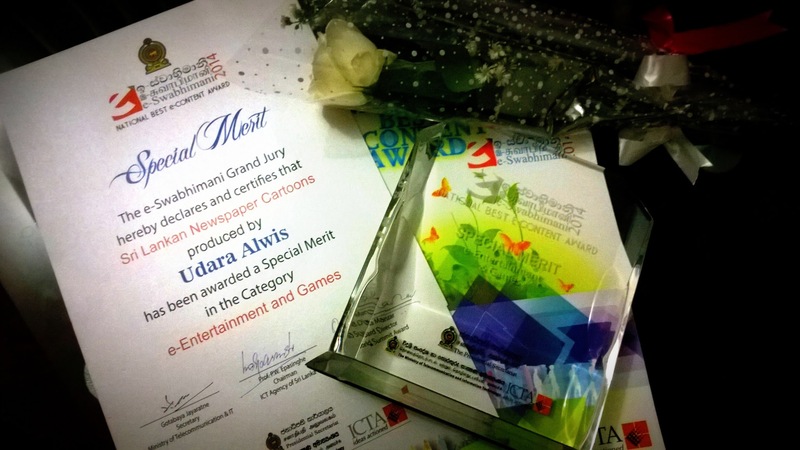 That feeling of fulfillment and happiness is something truly amazing and very hard to come by for anyone. 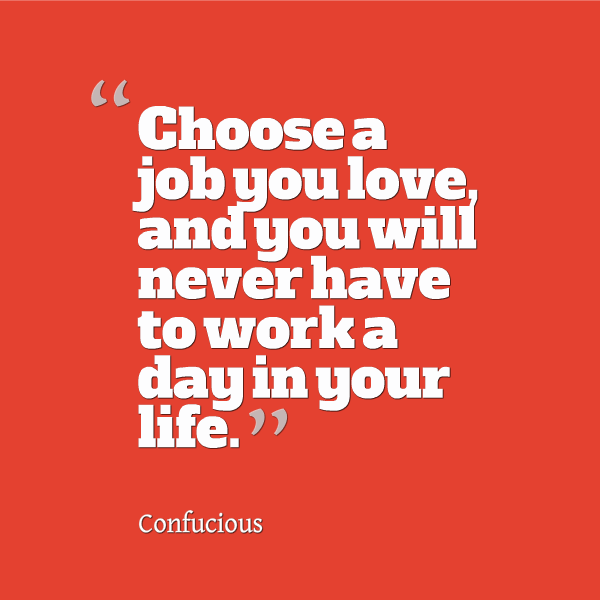 😀 We all want to feel fulfilled, about ourselves, and being able to satisfy with your job, plays a huge role in that pursuit. Happiness is something that we all seek for, and let me tell you, when you are satisfied with your Job, you feel an immense amount of happiness throughout your day, whereas Happiness comes as a part of the fulfillment. 😉 You become more optimistic towards life and everything that you go through in your daily life. …beginning to push through your limits beyond the impossibilities ! 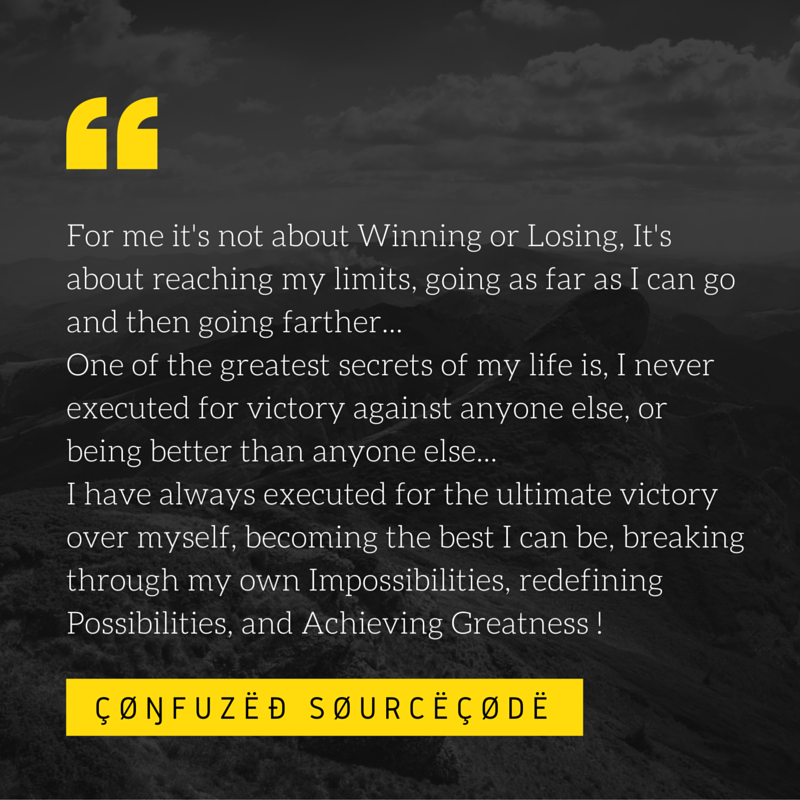 I have always executed for the ultimate victory over myself, becoming the best I can be, breaking through my own impossibilities, redefining possibilities, and achieving greatness !